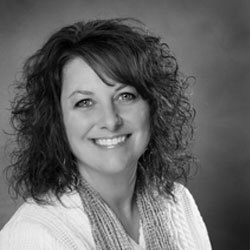 Kim is an active agent with Lori Bonarek Realty, representing both buyers and sellers. She started her real estate career in 2012 and has helped numerous clients find their dream home. Prior to becoming a real estate agent, she worked for the Chicago Board Options Exchange for 28 years where she assisted top executives and coordinated yearly events and outings on behalf of the exchange. Kim grew up in Chicago before moving to the Diamond/Coal City area where she resides with her loving husband of 21 years, their son and miniature dachshund. In her free time, Kim loves spending time with her family and friends, watching her son play sports, and traveling. Meeting new people and helping clients find the right house to call home is Kim’s passion and her love of helping others is what motivates her. Kim’s dedication, hard work, competence, efficiency and ability to communicate with her clients and make them feel like family are her core values. These guiding principles partnered with her great sense of humor are sure to make anyone seeking a home feel comfortable and excited about their entire experience. Whether you are buying or selling in Illinois, trust Kim to help give your dreams an address and give her a call to discuss your options.